Days ago, we wrote an article on New Xiaomi Mijia 5 Inch Touchscreen Smart Rearview Mirror Car DVR and we stated that the rearview mirror does not come with the Reversing Rear Camera. It was stated that the Reversing Rear Camera can be purchased separately which has lead to the article of today. These products where launched weeks ago and it’s still very new at a very affordable price. 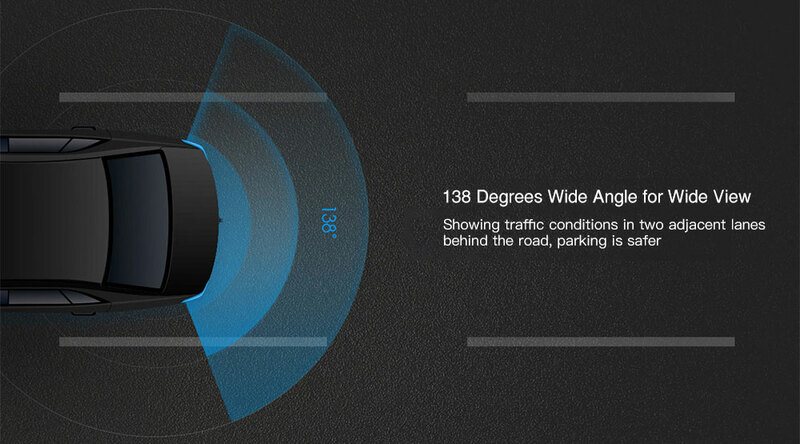 The Xiaomi 70mai Car Reversing Rear Camera comes in a minimalistic design with an all black color. It is fabricated from strong materials which ensure the device stay firm and undestroyed while the vehicle is on a motion. 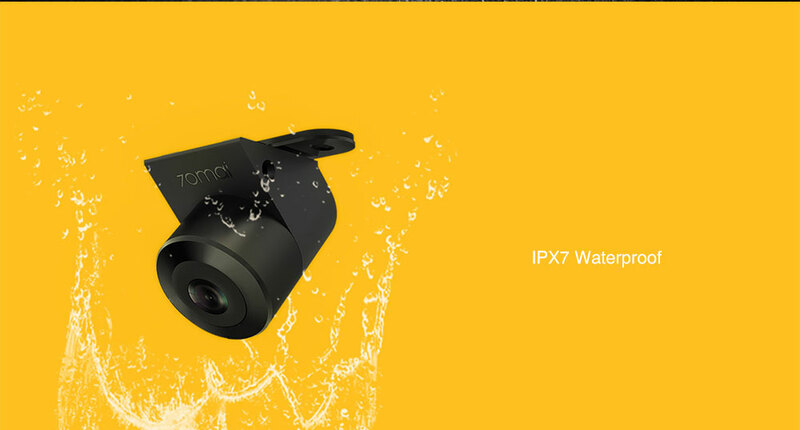 It is IPX7 Waterproof so you don’t have to worry about any fog/mist getting inside even when heavily flooded with water. If you are purchasing the device, it would come with 1 x reversing camera, 1 x video cable, 2 x install screw, 1 x user manual. The 70mai Car Reversing Rear Camera sports a Super HD Camera which adopts advanced high sensitive 720P image sensor which makes night vision as bright as daylight. 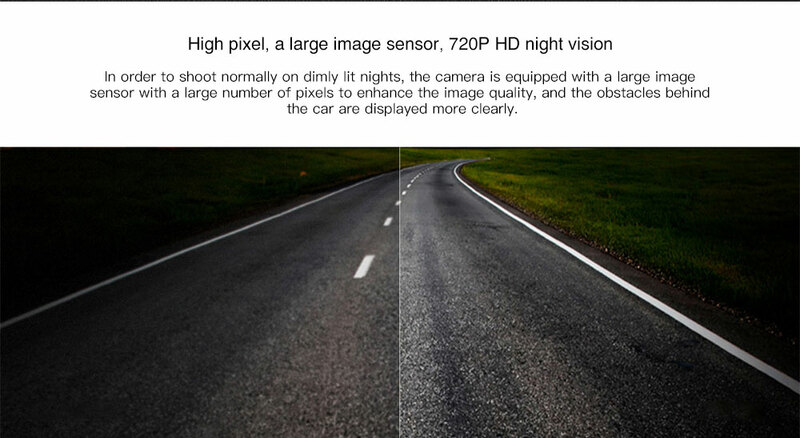 In Order to shoot normally on a dimly lit night, the camera is equipped with a large image sensor with a large number of pixels to enhance the image quality and obstacles behind the car are displayed more clearly. The device is capable of offering 138 degrees wide angle view which would show traffic condition in two adjacent lanes behind the road, which afford more safer parking. The camera is very easy to use and install also. After installation, both the front and rear recording functions can be realized, giving the driver more safety protection during driving. When the vehicle is hung to the reverse gear, the rearview mirror screen is switched to the reverse image screen, which can clearly observe the road behind the car. It should be noted that this 70mai video camera needs to work with the following products: Mi Home intelligent rearview mirror, Xiaomi Mi home rearview mirror Car DVR and 70mai smart rearview mirror. 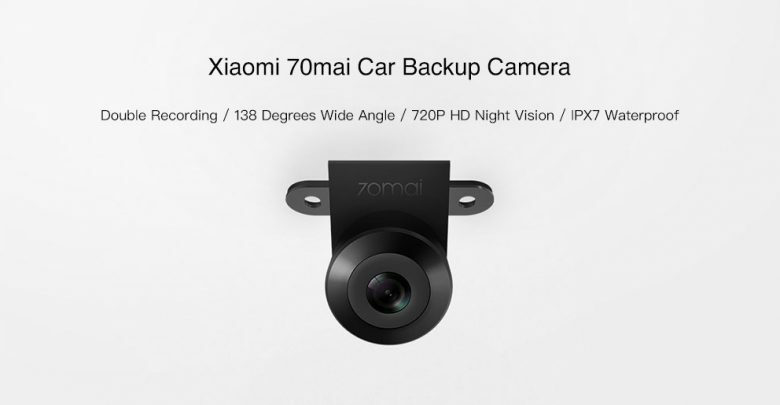 The Xiaomi 70mai Car Reversing Rear Camera is currently avaialable on Gearbest for just $26.99 and has a free shipping option attached to it.